The need to be active on every social media platform is a myth; we can help you to find the right mix to reach your target audience in the most efficient and impactful way. Build an online, engaged community and reach new customers through targeted advertising. Join in the conversation, grow your reputation and provide excellent customer service. Develop your personal connections and expand your network to add real value. Sell beautiful products online, share inspiration and showcase your eye for design. Tell your brand story and humanise your business through images and captions. Get creative and excite your audience through innovative social media video marketing. If you’d like to achieve more through your social media marketing, we’re here to make that happen. We work with ambitious brands to deliver and support social media campaigns that engage, excite and convert customers. Operating across all platforms, our bespoke social media solutions focus on reaching your target audience and making a real difference to your bottom line. Social media is an invaluable sales, marketing and customer service tool, and should be working for your business whatever your size or sector. A strong digital strategy underpins all successful social media marketing – it’s key to keeping your messages on-track, and encompassing wider business goals. We work with our clients to get the right foundation in place, and from there, meticulous planning ensures thoughtful, relevant social media campaigns can be executed. It also makes measuring the results and understanding your online impact much easier, which allows for the continuous improvement of your social media. All of the content shared across your social media channels should work towards driving enquiries and generating positive audience engagement. We take time to understand your business in order to properly represent your values, ensuring that customer experience is consistent across all platforms. Working with our clients, we help you tackle any customer questions with ease and generate a strong online presence that harnesses the power of good reviews. The right words can open up channels of communication with customers and set your business apart from the competition by establishing you as a key voice within your sector. We offer killer copywriting and content creation, whatever your subject. From regular blogs through to one-off website text projects, our copywriting team combines compelling content with SEO know-how to make sure your content really delivers. Who is the right person to manage your social media? 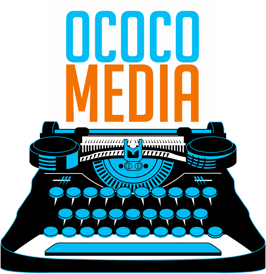 Whether it’s someone in your organisation, or one of the OCOCO Media team, we work with you to identify the right person to manage your social media. For in-house support, we provide comprehensive training and expert strategic consultancy to ensure that you have all the skills and confidence you need to run influential social media campaigns. If you’re looking for an outsourced solution, we can take care of your social media 365 days a year while you take care of business. Whatever your digital marketing needs, we’re here to deliver exactly what you want. That means social media that sells, website content that converts, and ultimately, strategies that really deliver for your brand. It all starts with a conversation. We’d love to find out more about your business, and talk you through the great things we can help you do with social media.